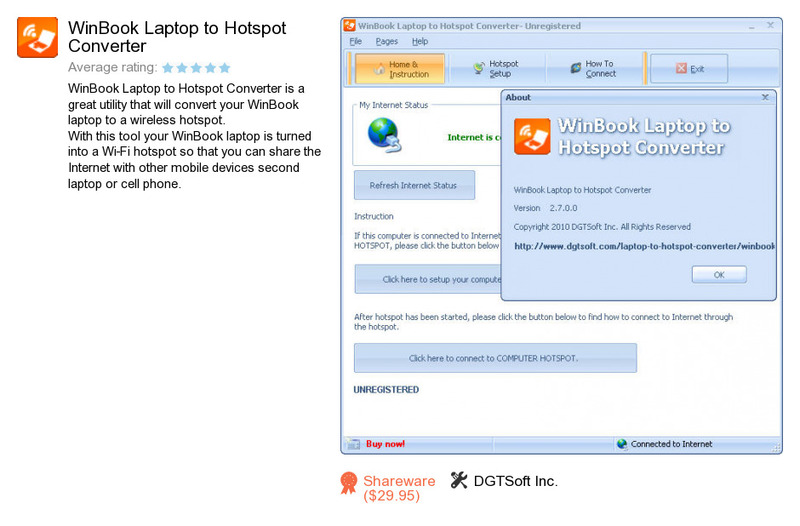 WinBook Laptop to Hotspot Converter is a software product developed by DGTSoft Inc.. We know of version 2.7. Version 2.7 is available for download at our site. WinBook Laptop to Hotspot Converter installation package has a size of 3,218,965 bytes. DGTSoft Inc. also publishes Acer Laptop to Hotspot Converter and Compaq Laptop to Hotspot Converter.